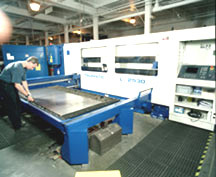 Our manufacturing roots are in sheet metal design, engineering, fabrication and complete mechanical assembly. It is the experience of over 40 years that reduces costs and delivers quality products to our customers. 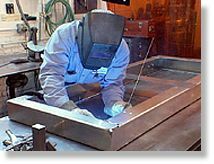 We employ a full range of technologies in the manufacturing of chassis, cabinets, housings, panels, brackets, stampings and all types of metal boxes and parts. From the simplest mechanical operations to complete assemblies, we supply quality, cost effectively and on-time. Precision 8 axis press brakes. Stamping presses from 40-150 tons.